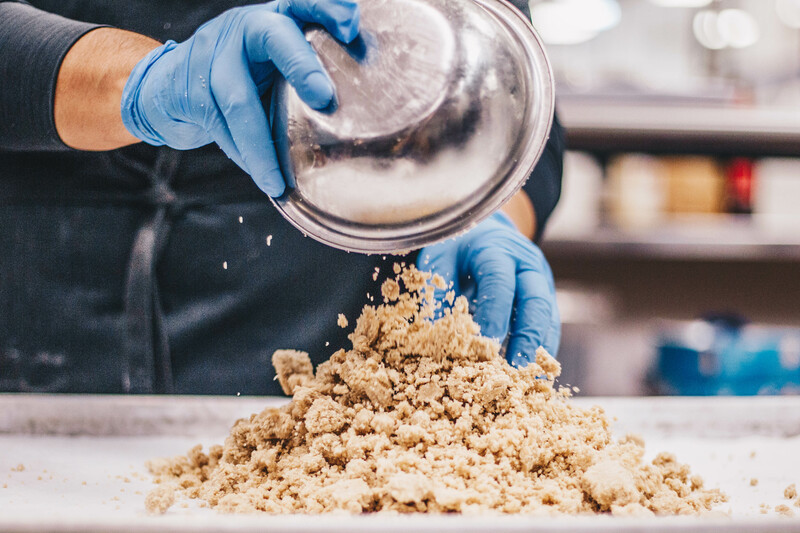 We started out selling ice cream to chefs, which is why we remained committed to having chefs on our team. It's their deep understanding of the lifestyle – the day-to-day hustle, line ups and everything in between - that sets us apart...and of course their skills in the kitchen. From over 250 flavor options to packaging durable enough to withstand the elements of the commercial kitchen, we made many of our fundamental business decisions with “chef” in mind. 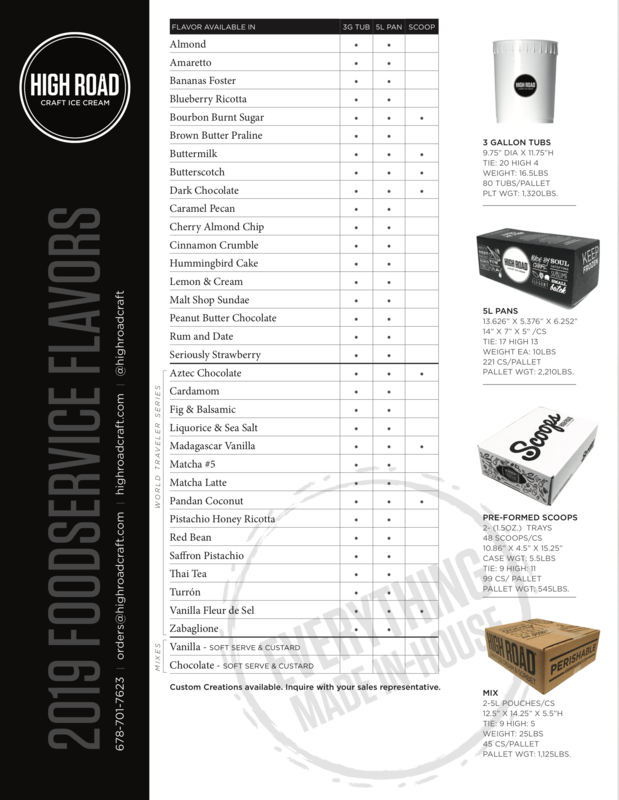 Our products are available to chefs in all 50 states via Gourmet Foods International, Cheney Brothers, Sysco, US Foods, ChefEx and Supplies on the Fly. Please contact our Director of Foodservice Sales, Tim Lamberg for immediate service (timothy@highroadcraft.com). This product is designed for you to serve to thousands of people at a time. 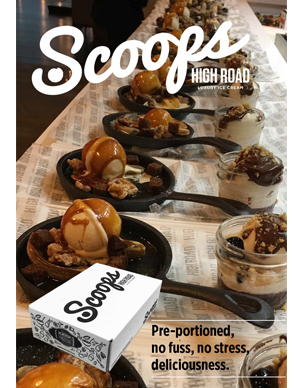 It comes in a uniform, pre-scooped format that’s ready for your plate-up. Get your hands on our latest flavors available in 5 liter pans and 3 gallon tubs. 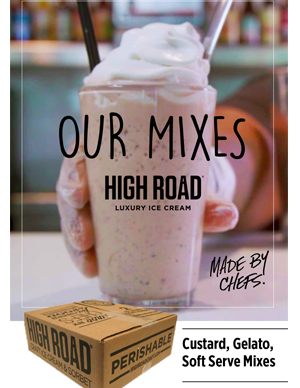 We’ve created a line of custard, gelato and soft serve mixes using the same, pastry-style approach we use for our pints.